Wheelabrator Technologies, a subsidiary of Waste Management, said it won a 5-year contract from Broward County, FL. It will take effect next year when its existing 20-year contract with the county is set to expire. Wheelabrator's Broward County facility processes about 4,500 tons of waste per day into enough energy to power 100,000 homes. Under the agreement, the Broward County Commission agreed to extend the same terms and conditions to its local municipalities. The plant also recycles about 30,000 tons of metal annually. The Broward County Commission today awarded Wheelabrator Technologies an exclusive, five-year contract for disposal of the county's municipal solid waste and bulk trash. Effective July 2013, the agreement extends Wheelabrator's long-standing relationship with Broward County. In addition, the commission approved an inter-local agreement (ILA) that allows Broward municipalities to receive solid waste disposal under the same terms and conditions. 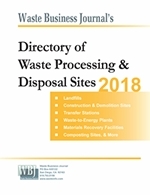 Also, municipalities can arrange for the county to manage administrative functions associated with the solid waste disposal process, including code enforcement, centralized billing, flow control and delinquent account collection, among others. "We are pleased and honored that Broward County chose to extend our mutually beneficial partnership," said Wheelabrator Vice President of Operations Bill Roberts. "We look forward to continuing to provide our sustainable, environmentally responsible waste-to-energy technology to Broward's cities." In Broward County, Wheelabrator converts 4,500 tons of solid waste into safe, clean, renewable energy every day - enough to power 100,000 homes daily and offset the need for 2.4 million barrels of imported oil each year. The Florida Legislature defined the company's waste-to-energy process as recycling, enabling Broward cities to make meaningful progress toward meeting the state's recycling goal of 75 percent by 2020. "Combined with waste reduction and aggressive recycling, Broward's waste-to-energy process recovers 30,000 tons of metal annually and provides a reliable and environmentally sound long-term trash solution," Roberts said. A wholly owned subsidiary of Waste Management, Wheelabrator Technologies Inc. is a leader in the safe and environmentally sound conversion of municipal solid waste (MSW) and other renewable waste fuels into clean energy. Wheelabrator's 17 waste-to-energy facilities provide safe waste disposal for towns and cities across the U.S. Wheelabrator also operates five independent power plants designed to generate electricity using an assortment of fuels, including waste wood, tires, waste coal, and natural gas. In addition to producing electricity, some of these facilities also produce steam sold to nearby government and commercial establishments. Wheelabrator's 22 facilities have a combined electric generating capacity of 896 megawatts, enough energy to power more than 985,000 homes. To learn more, visit www.wheelabratortechnologies.com. Waste Management, Inc. (NYSE: WM), based in Houston, Texas, is the leading provider of comprehensive waste management services in North America. Through its subsidiaries, the company provides collection, transfer, recycling and resource recovery, and disposal services. It is also one of the largest residential recycler and a leading developer, operator and owner of waste-to-energy and landfill gas-to-energy facilities in the United States. The company's customers include residential, commercial, industrial, and municipal customers throughout North America. 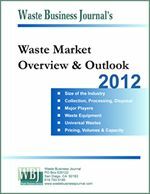 To learn more information about Waste Management visit www.wm.com.